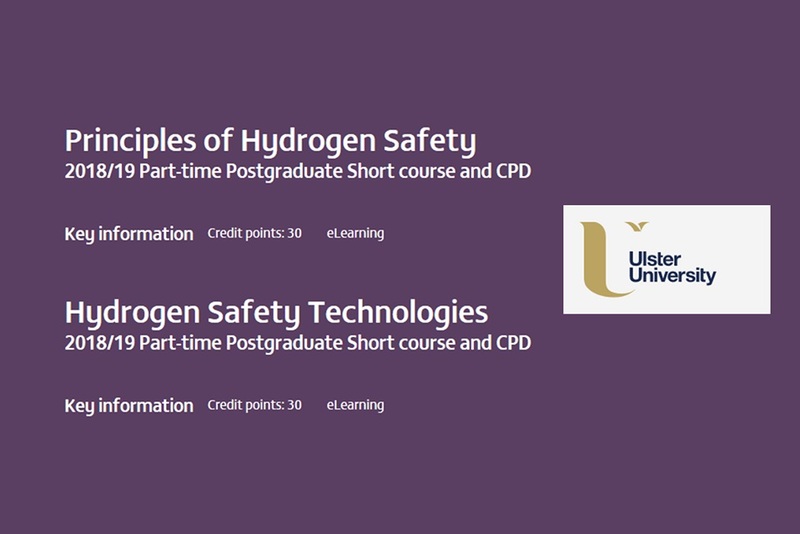 In 2018/2019 academic year Ulster University starts the delivery of fully online part-time postgraduate short course and CPD in hydrogen safety. These short courses are designed to provide you with the knowledge and understanding of hydrogen safety engineering and technologies, developing your ability to deal with complex safety problems. The programmes are ideal for anyone involved in the safety of hydrogen systems and infrastructure, including its production, storage, transportation and use, and the safety training of personnel. Upon completion, opportunities for further doctoral study exist. We would be grateful if you could forward this information to those who might be interested in gaining the beyond the-state-of-the-art knowledge in hydrogen safety science and engineering and receive Post Graduate Certificate in Professional Development (Hydrogen Safety) award from the Ulster University (UK). The International School “Progress in Hydrogen Safety” within HYLANTIC project “Atlantic Network for Renewable Generation and Supply of Hydrogen to promote High Energy Efficiency” will be held in Belfast (UK) next March 11-15, 2019. The event is organised by Ulster University in close collaboration with other partners of the HYLANTIC project. 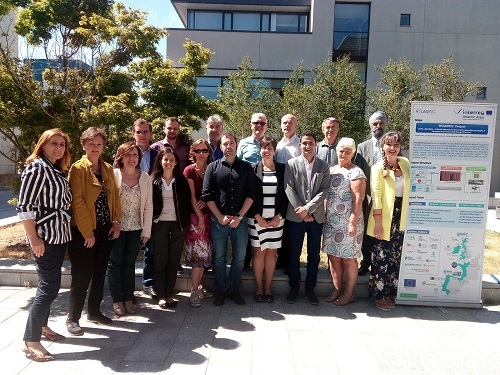 The first follow-up meeting of the european project Atlantic Network for Renewable Generation and Supply of Hydrogen to promote high energy efficiency – HYLANTIC was celebrated in Dublin, on July 3rd, 2018. Alfredo Ortiz, Rafael Ortiz and Sergio San Martín visited the Company Hidrógena, located in Segovia (Spain) last June 7th, 2018. 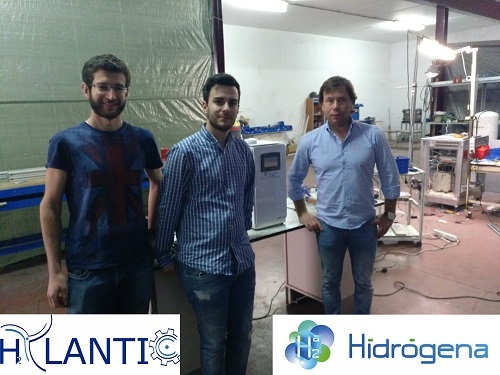 Hidrógena is the supplier of the electrolyzer that will be used for hydrogen production testing, within the European project HYLANTIC. 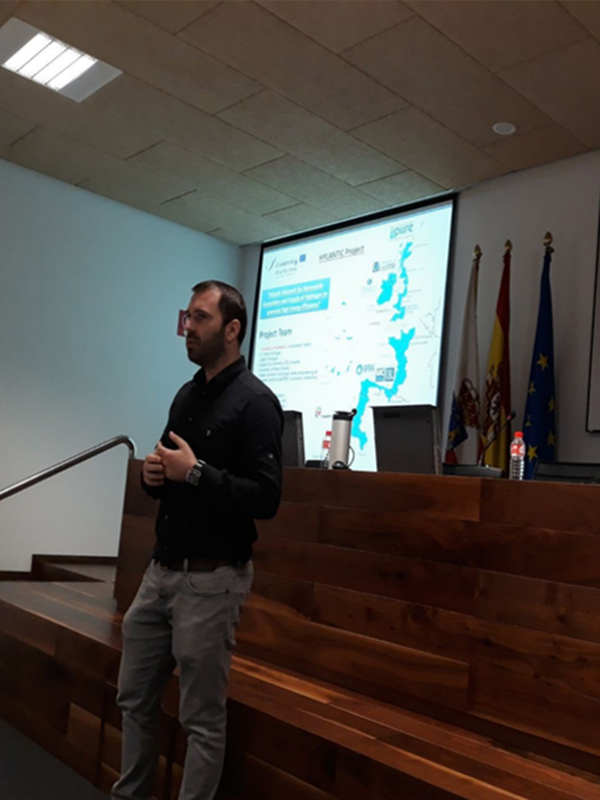 Rafael Ortiz, member of the University of Cantabria team, attended the European Hydrogen Energy Conference – EHEC 2018, celebrated in Málaga (Spain) last March 14-16, 2018, where he presented his progresses in the HYLANTIC project. 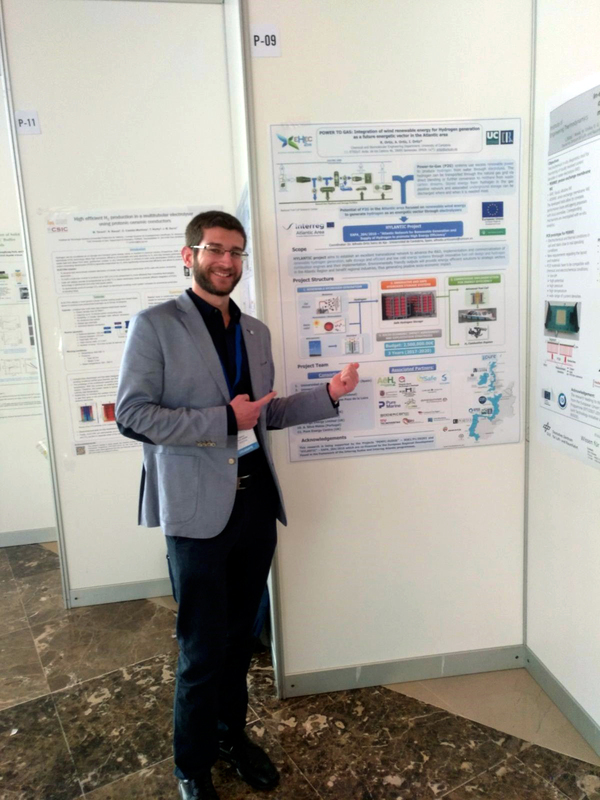 During the congress he presented his poster“POWER TO GAS: Integration of wind renewable energy for Hydrogen generation as a future energetic vector in the Atlantic area”.